Having a child with a birth injury takes substantial monetary, physical and emotional tolls on your child, you and the other members of your family. As you are caring for your child, there are many other matters which you will be required to address. First and foremost, as soon as your baby is diagnosed with a birth injury, you have to secure the necessary and proper medical care and treatment for your child as soon as possible. Without diligently taking this step quickly, there is a potential for a birth injury to get worse. Your child's future will include many appointments with various medical specialists and medical centers. You may need to get second and possibly even third opinions on recommendations for the treatment and care of your child. Parents who are worried about their child often want to know the answer to one question: What is the average settlement value of a birth injury case and how do you calculate the likely value in our child's case. This is a complex calculation that requires a good bit of guesswork. But there is a formula you can you to better understand the potential range of settlements in your case. Birth injury cases, in Maryland and most states, have the largest upside because of the economic damages that come with after medical malpractice at this delicate moment of a child's life. A settlement of a birth injury case will assist your child, you and your family with the current and future costs associated with treatment. Injuries caused by birth injuries will require lifelong medical care, which may include physical and occupational therapy, special medical equipment and special care centers. There may also be the possibility of permanent disability. These costs are more than a family can manage or afford. A settlement on your child's birth injury will help you and your child obtain the funds necessary to lead as normal a life as possible under the circumstances. Throughout these difficult circumstances, you will need to question the value of a birth injury lawsuit and how it can affect your child's life. chance of success at trial. This formula is historically the best way to evaluate a claim. A simple example might be an expected average verdict in the case of $40 million with a 50% chance of winning. The settlement value in this example is just less than $20 million. You may question why this would be the case. Ultimately, victims will occasionally take a small discount off of this formula because they only have one claim and do not want to risk a verdict. A critical part of the evaluation of understanding economic damages is to first understand a rather counterintuitive idea. In Maryland, and in most states, there is a law called the collateral source rule. You can click on the link to obtain a better understanding of the nuances of the law. The important part to understand about this concept is that a jury is not told that any future medical expenses or costs which may be paid by health insurance. The purpose is for the jury to give an award assuming that all of the future costs of caring for the child will be borne by the parents (and, eventually, by the child). Some possible future expenses may include medical expenses, rehabilitation, and therapy, specialized medical equipment, specially equipped vehicles, long-term assisted living centers, and in-home care. Plaintiffs' birth injury lawyers will hire an expert to produce a Life Care Plan, sometimes called a Cost of Future Care or a Future Care Assessment. The report accounts for the medical recommendations and opinions from the doctors and medical specialists and then estimates all of the future medical expenses for the child. The key is having the proper and necessary information to project the annual life care plan costs. The life care planner computes the costs of medications, therapy, doctors' visits, attendant care, counseling, transportation, future lost wages, replacement services, housing, and ant other possible expenses. These expenses are computed for a long period. Our lawyers also consult with an economist who can testify at trial using a formula consistent with the correct inflation rate to calculate the present value of those future costs. These costs are just incredible. Our most recent Life Care Plan very conservatively calculated the present value of all of those costs at over $50 million. Obtaining the care that your child needs is impossible without having significant resources. Birth injury settlements will assist in providing these resources to your child and your family. If your child has been hurt because a mistake made by a doctor, your child richly deserve every possible support to have the best imaginable life. Many of these kids go on to lead valuable lives in spite of overwhelming obstacles. But the money to put your child in the best possible situation is a huge help to push your child to that valuable life. What is the Average Birth Injury Settlement? Because you care so much about your child, you will have the desire to identify the trial or settlement value of your child's case. The average payment, which will be expressed as a settlement or verdict, for a lawsuit involving a child with a neurological birth injury is just over $1.03 million. One thing to remember is that this average figure does not tell you much information. There are many factors and circumstances involved in each case. Each child will have a different outcome from the birth injury. Example verdicts and settlements do not give you an average or median. But they do give you a number of cases that will at least help you better understand the possible range of values for specific types of birth injury cases. Our firm has more cases we would love to post here but these defense lawyers are becoming more draconian with the confidentiality on their releases. This is one issue we cannot stand firm. We are not going to jeopardize a child's birth injury settlement so we can brag about them later. 2018, Maryland: $4.2 million settlement. Defendant OB/GYN and obstetrical nurse were allegedly negligent in failing to promptly and effectively respond to indications of fetal distress during difficult vaginal delivery. Plaintiff’s claimed that this delayed response caused the baby to suffer hypoxic-ischemic brain injuries (HIE). The brain damage left the baby with major developmental delays, cortical blindness, and seizures. Defendants initially denied that they acted negligently and also argued that the baby’s injuries were not a result of any delayed response. The case eventually settled prior to trial for $4.2 million. 2015, Baltimore County, Maryland: $2,000,000 Verdict. Plaintiff, at 33 weeks pregnant, was admitted to the hospital. 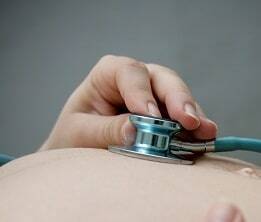 The defendant doctors had mistakenly determined that the plaintiff was over 36 weeks pregnant. An ultrasound that had been performed 12 days earlier should have led a prudent doctor to realize the baby was premature. This alleged failure to correctly determine the length of pregnancy led to the baby's development of cerebral palsy. A Baltimore County jury awards $2 million. 2015, Baltimore, Maryland $3,000,000. During delivery at the University of Maryland Hospital, a baby girl suffered shoulder dystocia after she became stuck behind the mother's pelvic bone. Her nerve root was torn from her spinal cord, leading to a biracial plexus injury and permanent paralysis of her left arm. 2014, Maryland: $1,178,920 Verdict. Plaintiff is admitted to the hospital for the delivery of her baby. During the delivery, the defendant doctor encountered shoulder dystocia which resulted in a brachial plexus injury. Plaintiff alleged that the defendant doctor by using excessive force. The defendant denied deviating from the proper standard of care. The jury awarded $1,300,000 but was later reduced to $1,178,920 under Maryland's statutory cap on non-economic matters. 2014, Maryland: $3,000,000 Verdict. Plaintiff is admitted to the hospital for the birth of her baby. During the delivery, the defendant doctor encountered a shoulder dystocia. The baby suffered a brachial plexus injury resulting in permanent paralysis of the left arm. Plaintiff alleged that excessive pulling caused the injury to the baby. The defendant argued that the injury was caused by natural forces used during labor. A jury awarded the plaintiff $3,000,000. 2014, Maryland: $1,700,000 Verdict. Plaintiff is admitted to the hospital at 38 weeks pregnant. During the delivery, the left shoulder of the baby became lodged. The injury resulted in Erb's Palsy. Plaintiff alleges that proper birthing techniques were not conducted by the defendant doctor. The defendant argued were was no evidence of negligence. A jury awarded the plaintiff $4,395,000 which was reduced to $1,700,000 due to a miscalculation of lost wages. Keep in mind these are all plaintiffs' verdicts. Defendants have been on a small run in recent birth injury cases that have gone to trial. In the 13 most recent cases researched, 7 were trial verdicts for the defendants and six were settled with no settlement information. 2018, New York: $34.8 million Verdict. A baby was delivered at 24 weeks and suffered significant brain injuries resulting in spastic diplegic cerebral palsy. The malpractice suit alleged that the doctors and hospital staff were negligent in several ways. First, the OB/GYN was allegedly negligent in failing to offer mother cervical cerclage (aka “cervical stitch) procedure that may have prevented her premature delivery. Plaintiff also accused the defendants of negligence in failing to treat the pregnancy as “high risk” and refer the mother to various prenatal consultations and testing. Defendant denied that they breach the standard of care. A jury in Westchester County awarded $5 million for past pain and suffering, $15 million for future pain and suffering, and another $14 million in economic damages for a total of $20 million. 2017, Florida: $3,075,000 Settlement. Plaintiff is admitted to the hospital for induction of labor. After being admitted, there is a spontaneous rupture of membranes, and the fetal monitor showed decelerations. A vacuum is used to assist in the delivery. After the baby was delivered, there was a delay in calling the NICU team. The baby was later diagnosed with anoxic seizures and hypoxic-ischemic encephalopathy. The baby also suffers from spastic cerebral palsy. The plaintiff filed a claim alleging that the failure to timely delivery of the baby and the failure to have a NICU team ready resulted in the brain injury. The parties settle for $3,075,000. 2017, Pennsylvania: $41,651,966 Verdict. Plaintiff is 40 weeks pregnant and admitted to the hospital. The doctor uses forceps on two different occasions to assist in the delivery of the baby. After the delivery, a CT scan revealed the baby had two skull fractures. The baby suffered a cerebellar hemorrhage, post-hemorrhagic hydrocephalus, and seizures which the plaintiff alleged would require lifelong care, wheelchair use, and other accommodations. The defendants denied that the doctor did not act within the standard of care. In a bench trial, the Judge awarded the plaintiffs $41,651,966. 2017, Florida: $33,813,495 Verdict. Plaintiff is admitted to the hospital after her water has broken. The defendant doctor used a vacuum to assist in the delivery because the fetal monitoring strips indicated intermittent decelerations of the heartbeat. Because of the prolonged use of the vacuum, there was decreased blood flow to the baby's brain. A large subgaleal hematoma developed. These developments caused the baby to suffer sustained extensive hypoxic-ischemic encephalopathy causing permanent brain damage. After signing a consent form for a Caesarian section, plaintiff alleges that the defendant doctor refused to perform the C-section even after the plaintiff requested the procedure. In a bench trial, the Judge awarded the child, mother, and father $33,813,495. 2017, Florida: $5,000,000 Settlement. Plaintiff is admitted to hospital after labor and contractions begin. The doctor noted to monitor plaintiff closely because of variable decelerations on the fetal heart tracing and recommended that a Caesarian might be necessary if there was not a change. However, the plaintiff was not checked on again for ninety minutes and shortly after the baby was delivered vaginally. The baby was diagnosed with several birth-related injuries, including hypoxic-ischemic encephalopathy. The plaintiff filed a medical malpractice claim against the defendant and the parties settle for $5,000,000. 2017, New York: $4,098,267 Verdict. The mother went to the hospital stating that she could no longer feel the fetus moving. Two doctors performed a biophysical profile of the fetus to monitor the heartbeat. If the biophysical profile did not have good results, a Caesarean should be ordered. One doctor found non-reassuring results and the other doctor stated that the fetus was safe. Plaintiff was discharged shortly after. The next day after Plaintiff consulted her obstetrician, a Caesarean was performed and the baby was delivered. The baby suffered a hypoxic injury. Plaintiff contended that the baby would not have suffered the injury if a C-section had been performed on the first day. A jury awarded the child $4,098,267. 2017, Pennsylvania: $14,500,000 Verdict. Plaintiff is in labor with her first child and went to the hospital when contractions started. After an evaluation by the defendant doctor, Plaintiff was sent home and told to return after contractions were stronger. Plaintiff returned after four hours. The baby was delivered after complications and was transported to a second hospital. The baby suffered from severe spastic cerebral palsy. Plaintiff alleged negligence by the doctors and hospital staff. The defendants argued that they did not breach the standard of care. A jury awarded the plaintiff $14,500,000. 2017, Illinois: $2,000,000 Verdict. Plaintiff is admitted to the hospital for an elective labor induction procedure. During the delivery, the defendant doctor performed a mid pelvic vacuum extraction to deliver the baby's head. After the delivery, it was found that there was no movement in the baby's upper right extremity and was diagnosed with a brachial plexus injury. Plaintiff alleged that the defendant doctor was negligent in not checking the position of the shoulders of the baby after the mid pelvis application of the vacuum was performed. The defendants denied that shoulder dystocia was encountered during birth. A jury awarded the plaintiff $2,000,000. 2017, Illinois: $2,600,000 Settlement. A 32-year-old plaintiff is admitted to the defendant hospital for the delivery of her third child. 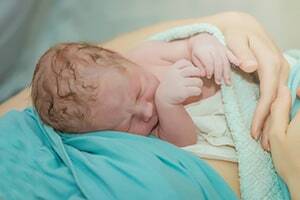 Although she had a previous Cesarean, she was attempting a vaginal birth. During labor, the fetal heart monitor began showing abnormal decelerations which indicated fetal distress and oxygen deprivation. The heart rate continued to show signs of distress for over two hours until an emergency C-section was performed. Plaintiff alleges that the lack of monitoring the fetal heart decelerations caused the delay in the decision for the emergency C-section. The baby suffered hypoxia, which resulted in cerebral palsy. The parties settled for $2,600,000. 2017, Florida: $290,000 Settlement. Plaintiff is admitted to the hospital while seven months pregnant and labor is induced due to the mother's gestational diabetes. During the delivery, defendant nurse midwife used a McRoberts maneuver and Wood's screw maneuver due to shoulder dystocia. After the delivery, the baby was diagnosed with a left brachial plexus injury. Plaintiff alleged that an improper technique and excessive force was used in causing the injury. The parties settled for $290,000. 2017, California: $8,500,000 Settlement. Plaintiff is admitted to the hospital for the delivery of her baby. During the delivery, the baby was deprived of oxygen, which resulted in a severe brain injury. Plaintiff claimed the defendant doctor failed to perform a timely delivery and was negligent in misdiagnosing fetal distress. The parties settle for $8,500,000. If your child has suffered a birth injury, call Ron Miller or Laura Zois today. We can talk about your legal options and tell you what you can do. We have a track record of success in wrongful death and catastrophic injury medical malpractice cases. We may be able to help you and your child get the money you need and deserve to deal with the unbelievable costs of raising your child and the costs associated with providing care for the rest of his or her life. Call Miller & Zois today and speak to our Maryland birth injury medical malpractice attorneys at 800-553-8082 or get an online case evaluation.